Former Massachusetts Gov. 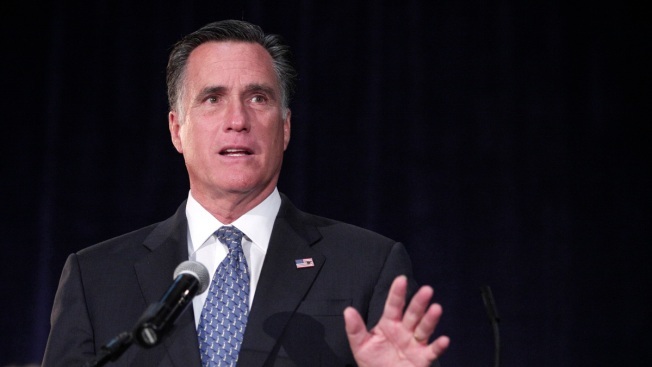 Mitt Romney is in Chicago Wednesday to attend a pair of campaign events for Sen. Mark Kirk and Rep. Bob Dold. Romney, who was easily defeated by President Barack Obama in the 2012 presidential election, is headling a fundraiser for fellow Republican Kirk at the Chicago Club Wednesday. Kirk is locked in a tight Senate race with Democratic Rep. Tammy Duckworth. Tickets for the event range in price from $250 per individual to $2,700 to be a top sponsor, according to the Chicago Sun-Times’ Lynn Sweet. The former Republican presidential nominee will also attend a fundraiser for Rep. Bob Dold in Lake Forest Wednesday. Dold will face former Democratic Rep. Brad Schneider, who the congressman unseated in 2014.